Dry Mouth Gel is a unique, sugar free product designed to help relieve dry mouths and provide long lasting comfort and a soothing effect for patients. 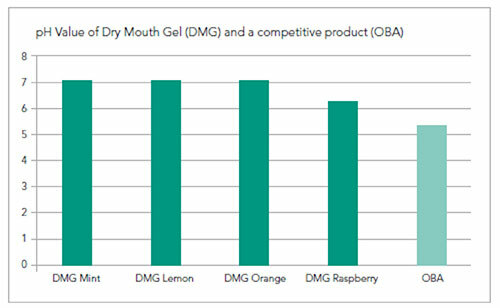 Uniquely, unlike most saliva subAqstitutes, Dry Mouth Gel has a neutral pH, meaning that effective symptomatic relief can be provided, whilst preserving oral pH within the safe range to prevent demineralization. Unlike most saliva substitutes, Dry Mouth Gel has a neutral pH, meaning that effective symptomatic relief can be provided, whilst preserving oral pH within the safe range to prevent demineralisation.